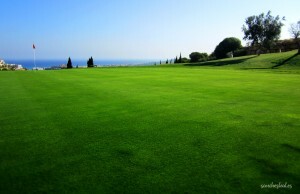 Dona Julia Golf, one of the best golf courses on the Costa del Sol, is located in the municipality of Casares, between the sea and the mountains. Located beside the A7 motorway with an exit which leads down to the golf course. Dona Julia Golf Club is a magnificent 18 holes golf course perfectly integrated into the natural landscape where you will never forget the magnificent views to the Mediterranean Sea and the African Coast. 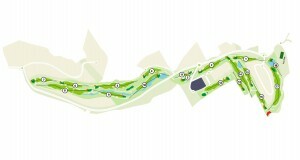 The golf course is designed by the renowned Malaga architect Antonio Garcia Garrido in 2005. Along the round the Mediterranean breeze invites you to play golf in any season of the year, as well it is noted by its ample greens, its emblematic tees and the wide fairways. Doña Julia Golf has a Clubhouse very complete and well equipped to meet the needs of all players and visitors. In the restaurant guests can enjoy a snack before or after playing in our magnificent golf course, as well as taste some of the dishes that will be offered daily by the chef.